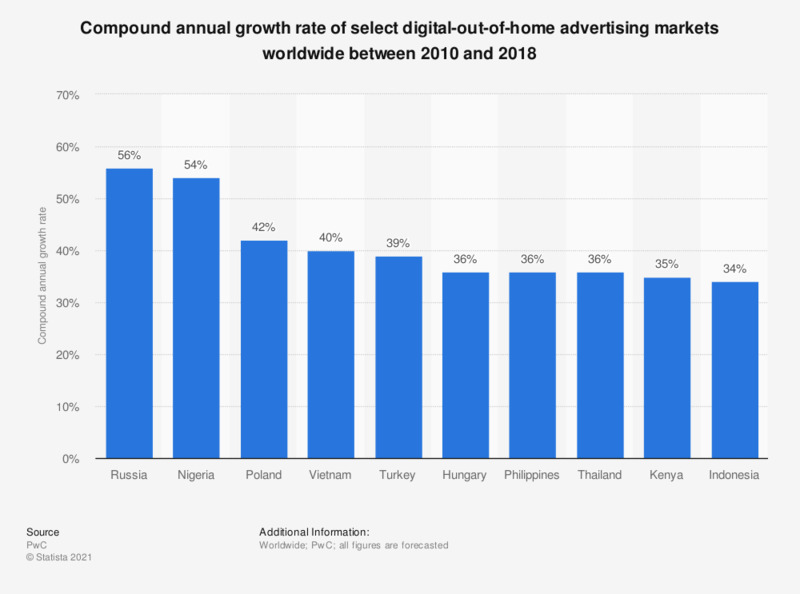 This statistic shows a forecast of the compound annual growth rate of select digital-out-of-home advertising markets worldwide between 2010 and 2018. According to PwC, Indonesia's DOOH advertising revenue will grow at the compound annual rate of 34 percent in the presented period. What kind of locations (or advertising media) for ambient media are you aware of?